The passing of a man who missed the chance to really advance his people. 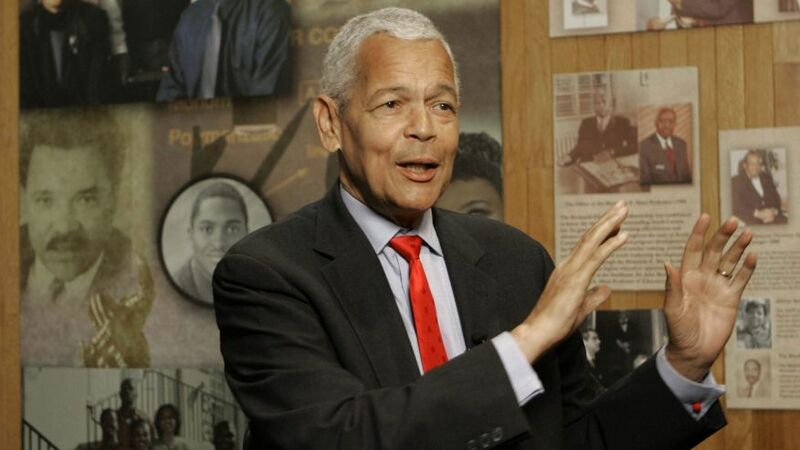 I admired Julian Bond, and all that he did, but I believe future generations will place an asterisk next to his name. Why he never spoke out forcefully against abortion remains a mystery, even when we made it known a few years ago that 60% of black pregnancies in New York City ended in abortion. The silence was deafening. Why Bond never really addressed the fact that between 15-20 million black babies have been aborted since 1973, that the abortion industry and Planned Parenthood operate over 70% of their “clinics” in inner-city neighborhoods. Given the loss of all those black lives to abortion, and the offspring they would have produced, we are shy about 30 million more blacks in the US today. That’s remarkable when one considers the 2010 US Census figures. Out of 308.7 million people, 38.9 million identified as black alone. That’s only 13% of the population. If we had the 30 million who were either aborted, or would have been born to those aborted, the percentage of blacks in America would be more than 20%. Approaching 1/4 of the population would be a game-changer for the black community, and America. While it is not inconceivable that there are those who wouldn’t want that, it is unfathomable that Bond and the others in black leadership would tolerate what has been done to the black community, largely by its own hand. While it would have been nice to see the NAACP and the SPLC militate against the legality of abortion, at the very least they could have mounted a sustained campaign to encourage black women to choose life. They could have militated for funds to establish black pregnancy resource centers. They could have spoken vehemently against race suicide. They didn’t. They tolerated voices on the left suggesting that black abortion is the answer to black criminality and black poverty. Worse still, Bond actually equated the right to abortion with the right to sit at a lunch counter. See the video and hear him say it. Abortion as a civil right. Shredding black babies in their mother’s wombs as the equivalent of eating at the same lunch counter as whites! He polluted the entire civil rights agenda in one breathtaking statement. I can understand if the KKK held out abortion as a strategy to reduce black poverty, but to have such expressed sentiment in certain quarters tolerated by so many black leaders, and to hear nothing from Bond and his Southern Poverty Law Center was ghastly. The deaths and nonexistence of 30 million blacks has done nothing to end poverty in the inner-city, or to end the black-on black violence that make those neighborhoods far more vicious than they were in the Civil Rights era. So, by the calculus of death and nonexistence, the answer is what? MORE death and nonexistence for those currently alive? Clearly not. Death is never the answer. How such a brilliant man couldn’t see that 30 million fewer blacks means permanent minority status is just beyond imagining. Was his embrace of abortion the price to pay in the Democrat Party for a seat at the table? “This task of gratitude to our fathers, justice to ourselves, duty to posterity, and love for our species in general, all imperatively require us faithfully to perform.